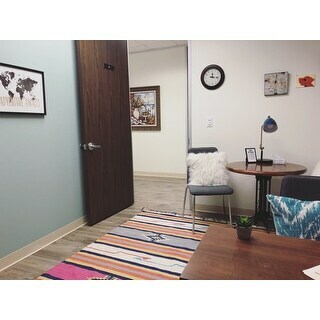 Colors are vivid, rug is soft. I NEEDS a rug pad or it gets all misplaced. In general really good. We also took to the laundromat and got it clean in those big washers. 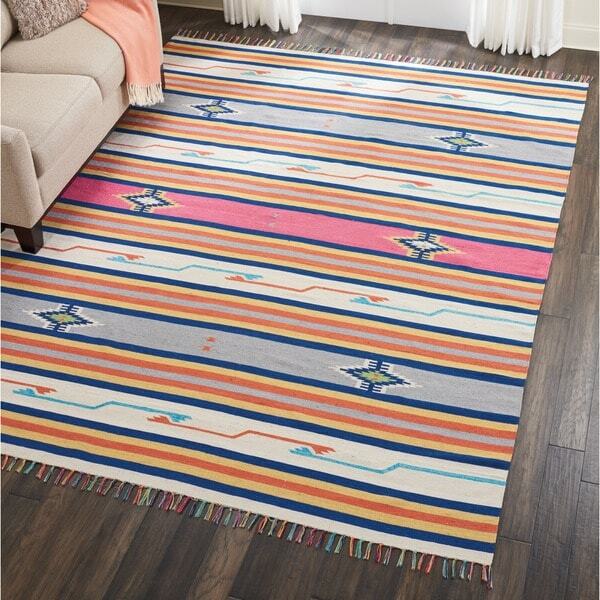 Give new life to areas with moderate traffic with this Moroccan area rug from Nourison's Baja collection. Handmade from cotton, polyester, and acrylic, this indoor area rug lends comfort and traditional appeal to your space. 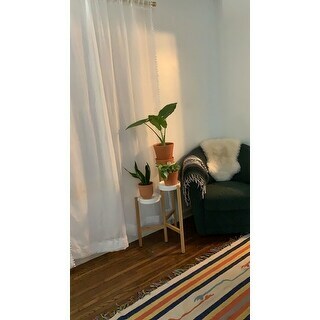 We bought this rug for our son's nursery and we love it! The colors are beautiful in person and will brighten up any room! It's very light weight and easy to move out of the way when cleaning. 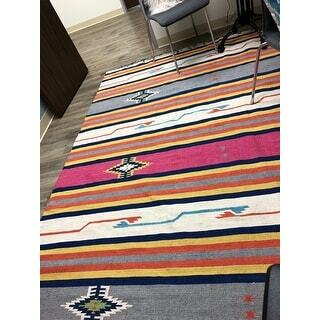 Great price for great rug! Received and it smelled musty and moldy. Overstock was kind enough to send a replacement. They must be coming from the same warehouse, etc.. STILL smelled of mold. I ended up washing it in the tub and airing it out. Other than that - I love it. Great fun colors.